Concrete is a popular construction material used in a wide range of buildings, bridges, roads and more. A composite material, concrete hardens over time, chemically reacting with water to form a strong, durable stone-like material. However, concrete itself has a relatively low tensile strength. Improved strength can be gained from the inclusion of materials like rebar; reinforcing steel or reinforcement steel. Passively embedded into the concrete, rebar strengthens the structure and ensures resistance to tensile stresses. Care must be taken to prevent corrosion occurring to steel rebar, causing weakness and structural problems. After-cure methods include Sika Ferrogard, a penetrating sealant which is applied after the curing process. Corrosion is one of the leading causes of concrete deterioration and occurs when the steel material within rebar corrodes. Water reacts with the steel, rusting the surface. The resulting rust is expansive, creating tensile stresses from within which eventually lead to cracking and spalling. Spalling is the deterioration of concrete to the point where fragments start to break away, potentially causing damage to persons or property. Corrosion can also occur from water-bearing chloride ions, in addition to carbon dioxide in the atmosphere. Chloride ions penetrate the porous concrete surface and cause “pitting” in the steel surface, causing significant damage in localised areas. In addition, carbon dioxide entering the concrete can create weak carbonic acids which attack the steel surface and surrounding concrete. Prior to installation of reinforced concrete structures, immediate measures can be taken against corrosion in several ways. For instance, using coated, hot dip galvanised or stainless steel rebar in wet and cold climates or choosing a quality concrete mix can help to reduce corrosion. 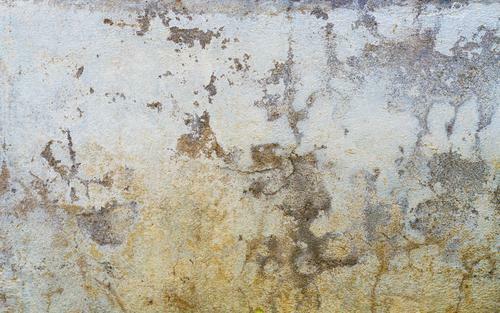 After concrete structures have been cured, corrosion methods can still be applied. Application of external preventative measures include varnishes, lacquer-based paints and oils to stop the absorption of water and other potentially damaging ions, while anti-corrosive surface treatments can be used directly on the concrete exterior. These penetrating surface treatments adhere directly to the surface of the steel, creating a protective monomolecular layer. While corrosion of rebar can cause extreme problems with concrete, proper installation and protection can prevent structural damage in the future. Coventry Cathedral was a repair project carried out by Concrete Renovations back in 2002 and is an excellent example of how surface treatments, such as Sika Ferrogard, can be put in place. If you require any further information on concrete repairs or safeguarding concrete structures against corrosion, please contact our team on 01733 560362.